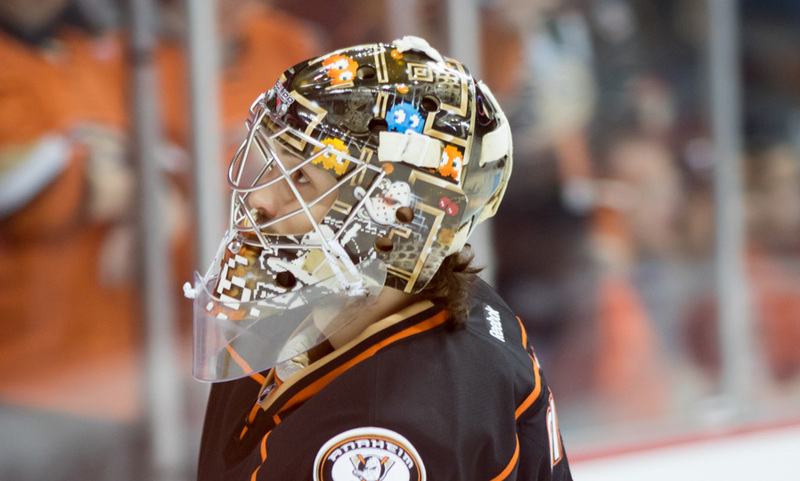 JOHN GIBSON had 31 saves in goal for the Anaheim Ducks in their 5-2 win Wednesday over the San Jose Sharks (Photo by Bridget Samuels). The Anaheim Ducks started off the 2018-19 season on Wednesday with a little bit of unfinished business. They were in San Jose to play the Sharks, the same team that knocked them out of the playoffs last season. With the help of veteran goalkeeper John Gibson, the Ducks got their little piece of payback and defeated the Sharks 5-2 at SAP Center. The Ducks were out to a 1-0 lead on rookie Max Comtois’ goal 49 seconds into the game, but the Sharks answered with a score by Kane. The teams would trade goals in the second period, but the Anaheim team pulled away on three third-period goals. Rickard Rakell finished with a goal and two assists. Jakob Silfverberg had three assists, while Adam Henrique had a goal and an assist. Ryan Getzlaf had two assists and Carter Downey a goal. The Ducks are next in action on Saturday when they visit the Coyotes in Arizona.